Been hearing about this movie project but wasn't sure if it will actually be released. A lot of video game movies have been planned and have shown no sign of release. 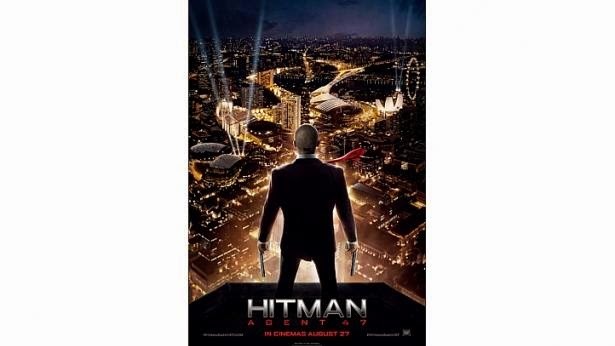 At least Hitman: Agent 47 looks to have got past the planning stages and here's the trailer.. I haven't played any of the Hitman games so I'm not sure what to make of it. Does seem to be missing the stealth elements from the game though.. but looks good for an action movie. Also, I'm unsure how accurate the origins are, but it's great that they kept his iconic suit. Not wanting to be pessimistic, but I think this will be an enjoyable action movie but not a 'Great' one. And Surprise, Surprise! The movie was shot in Singapore (Maybe not entirely, but a lot of the scenes do show iconic locations in Singapore). Plus a lot of Comfort Cabs/Taxis seem to have been deployed for several scenes.. Hmm.. so that is why it's getting increasingly tougher to get a cab these days! Looks set for a release on August 27. Hoping it's good!